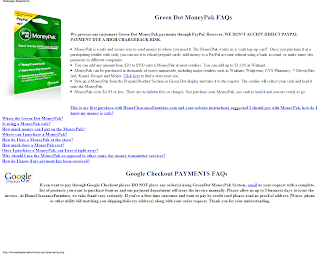 •Beware of any offers that do not accept credit cards and ask you to purchase a MoneyPak and provide a MoneyPak number in an e-mail or over the phone. •Reloadable cash cards like Green Dot MoneyPak and other methods of cash transfers like MoneyGram and Western Union should never be used to send money to anyone you do not know. These types of payments are virtually impossible to trace, and there is a good chance you will lose your money. 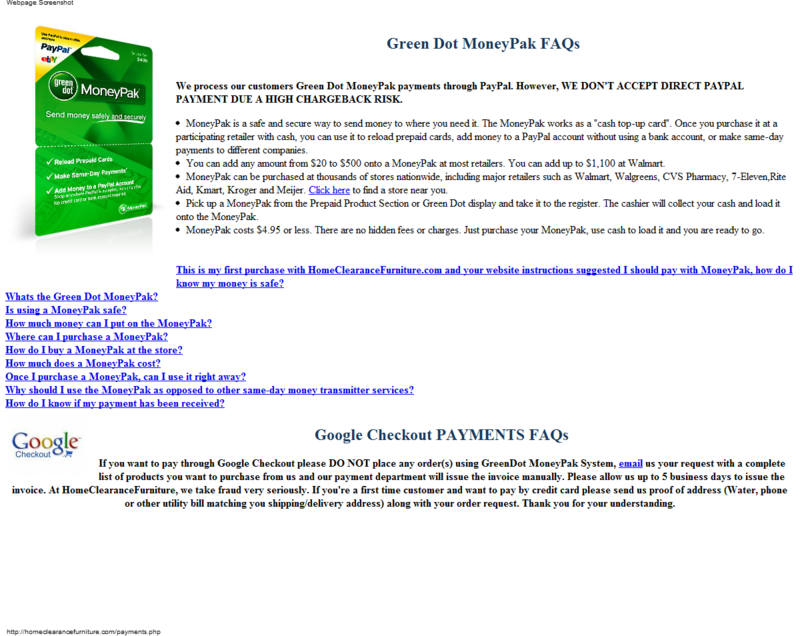 We process our customers Green Dot MoneyPak payments through PayPal. However, WE DON'T ACCEPT DIRECT PAYPAL PAYMENT DUE A HIGH CHARGEBACK RISK. MoneyPak is a safe and secure way to send money to where you need it. The MoneyPak works as a "cash top-up card". Once you purchase it at a participating retailer with cash, you can use it to reload prepaid cards, add money to a PayPal account without using a bank account, or make same-day payments to different companies. 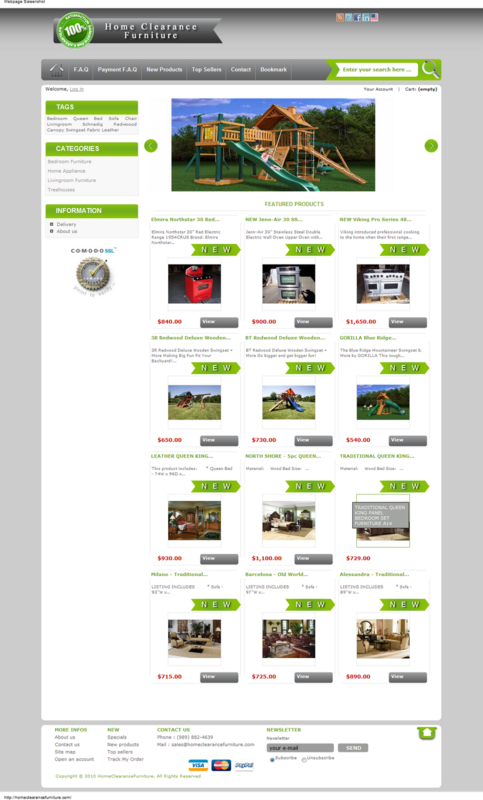 You can add any amount from $20 to $500 onto a MoneyPak at most retailers. You can add up to $1,100 at Walmart. MoneyPak can be purchased at thousands of stores nationwide, including major retailers such as Walmart, Walgreens, CVS Pharmacy, 7-Eleven,Rite Aid, Kmart, Kroger and Meijer. Click here to find a store near you. Pick up a MoneyPak from the Prepaid Product Section or Green Dot display and take it to the register. The cashier will collect your cash and load it onto the MoneyPak. MoneyPak costs $4.95 or less. There are no hidden fees or charges. Just purchase your MoneyPak, use cash to load it and you are ready to go.